Program Description: This camp is designed for the aspiring young athlete who wants to develop cheer skills in an exciting, creative and fun atmosphere. We are fortunate to have a dynamic staff of area collegiate cheerleaders and members of our own Ravenscroft cheer squad. 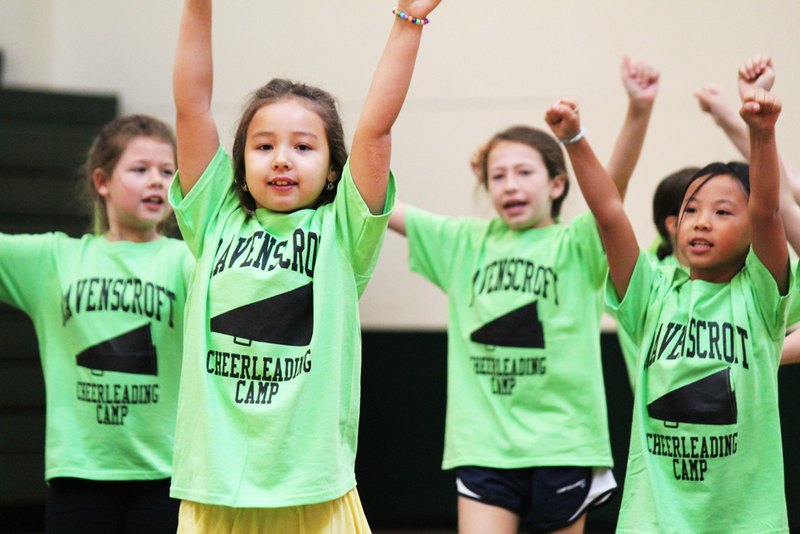 Campers will learn individual cheer skills, basic tumbling, partner stunts, spirit dance and, most importantly, teamwork. Instructor: Denise Simpson has many years of experience coaching cheerleading at the Middle School, JV and Varsity levels. She has the ability and knowledge to work with talents of all levels and blends her experience with a deep enthusiasm to see that each camper has a fun and fulfilling experience.